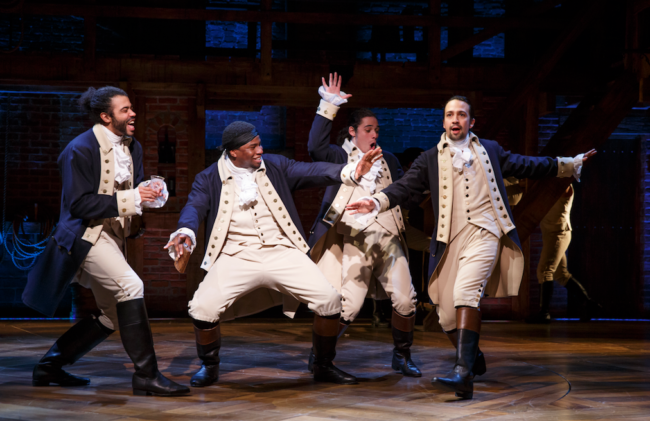 In case you missed it, online comedy destination Above Average recently released an hilarious video commentary on one of the most pressing dilemmas happening in America right now: how to get a ticket to the highly sought after ‘Hamilton’ musical on Broadway. This is a modern hip hop version of a well-known classical story of Alexander Hamilton, the poor kid from the Caribbean who fought the British, defended the Constitution, and helped to found the United States. The Broadway production which infuses the old with the new, using rap as a powerful story-telling technique. It has been counted as the musical production igniting a whole new generation of fans, starring Lin-Manuel Miranda, and we know how much ‘Hamilton’ has been dominating your social media feeds. You no doubt would’ve seen the viral video of Lin-Manuel freestyle rapping at the White House with President Obama (who only held up flash cards), and in another video where he makes British actress Emma Watson lay down a beatbox beat while he rapped about the importance of gender equality. To celebrate Women’s History Month, the female cast members of the musical got together to rap, perform and present some famous feminist quotes in their signature ‘Hamilton’ style for Glamour magazine. All of this attention around the production has only served to perpetuate major FOMO on behalf of those who try but cannot get tickets to the actual stage production. But instead of resigning yourself to the fact that you may never get tickets to this unicorn of Broadway shows, we’ve got some good news. 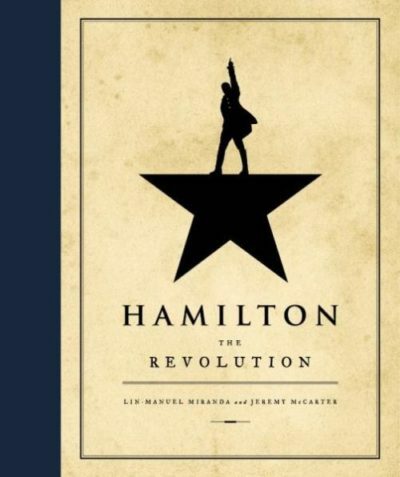 There is another way to immerse yourself in the magic of ‘Hamilton’, and that is through Audible, the Amazon-owned company where you can find digital audio books, radio and TV programs, and audio versions of magazines and newspapers. In a time where podcasts and audio books are becoming a popular way to deal with long work commutes, wind down after a long day at work, or simply to get informed or entertained while also multi-tasking, the audio book version of your favorite production is the best way to be a part of something that is now part of the zeitgeist. ‘Hamilton: The Revolution‘ isn’t just the audio version of the musical, it is so much more and offers listeners in insight into the story in a way Broadway audiences will not have the privilege of experiencing. Lin-Manuel himself, along with Jeremy McCarter, a cultural critic and theater artist who was involved in the project from its earliest stages traces its development from an improbable performance at the White House to its landmark opening night on Broadway six years later. Lin-Manuel also offers more than 200 funny, revealing footnotes for his award-winning libretto (oh yeah, did you miss the cast’s performance at the Grammy’s?). Another great addition to ‘Hamilton: The Revolution’ is the presence of Emmy and Golden Globe Award-winning actress Mariska Hargitay as narrator. In case you are still pondering whether this is something you want to invest in as an alternative to waiting around forever for a Broadway ticket (at this stage, you’d have more luck finding the Loch Ness monster or Big Foot…) Audible are offering a 1 month free trial which means you can download not just ‘Hamilton’ but any number of audio books in their extensive catalog. Let’s just get one thing straight, Audible is not just any audio book platform, this is THE place you want to go to find content featuring narration by celebrities such as Emma Thompson, Kate Winslet, Rosamund Pike, Jake Gyllenhaal and Colin Firth. Basically, if you are looking for your fave celebrity British accents narrating some of the most beloved pieces of literature in the world, you can’t go wrong with Audible! But seriously, with our everyday lives becoming busier and more stressful (who has time to pick up a physical book or Kindle and set aside hours of your day to just read?! ), knowing that Audible has over 250,000 titles to choose from means an endless amount of opportunities to immerse yourself in a medium that is fast-becoming the new video on-demand in terms of accessibility and popularity. And if you, like us, want to use your Audible experience to read some of the hottest feminist books out right now, get onto the 30 day trial and download Roxane Gay’s ‘Bad Feminist‘, Caitlin Moran’s ‘How To Be A Woman‘, Lena Dunham’s ‘Not That Kind Of Girl‘, and Jill Lepore’s ‘The Secret History Of Wonder Woman‘, for example. We hope by reading this we have cured your FOMO in regard to ‘Hamilton: The Musical’. Now that you know seeing the Broadway musical isn’t the only way to experience the ‘Revolution’, head over to Amazon, sign up for a free 30 day Audible trial and get to know the history-making founding father who will never be thought of the same old boring way again thanks to Lin-Manuel Miranda, Mariska Hargitay and the power of an audio book streaming platform. This is a sponsored conversation written by us on behalf of Audible. The opinions and text are all ours.